unilab foundation | Badudets Everything Nice! We are now living in a digital world, we can get everything done in just a click of a button. We can wash laundry in just one push of a button, we can book a taxi in just a few taps of our smartphones, we can have food delivered right to our doorstep in just one call. You see, life became easier, convenient and fast. But in this digital world, Unilab Foundation reminded us to have a heart. We should use technology to our advantage in making this world a better place. 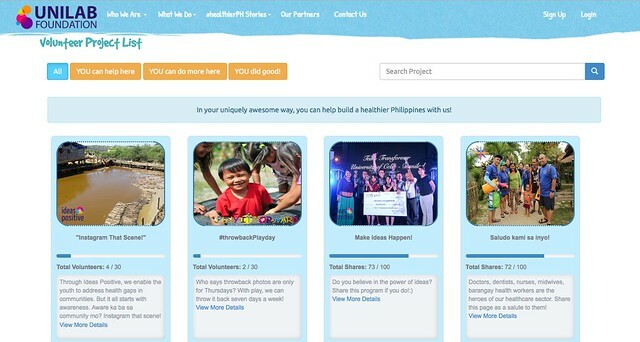 Hence, the birth of #healthierPH Volunteer Portal. Be part of a #healthierPH!